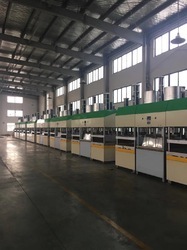 Manufacturer of a wide range of products which include pulp tableware molding machine, semi auto bagasse pulp molding machine, semi automatic biodegradable bagasse tableware machine, eco friendly plates making machine, sugarcane bagasse plates making machine and biodegradable sugarcane bagasse product. · Forming method: Vacuum forming. · Drying method: thermal forming. completed in one machine. 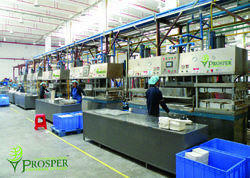 (The products transfer need manual operation). · PLC + touch screen control; Stainless pulp tank. 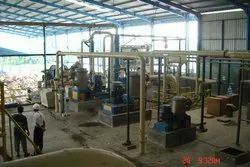 main pneumatic element is FESTO or SMC. 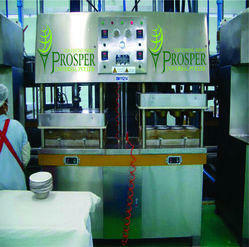 PLC + touch screen control; Stainless pulp tank. Suitable for production of high quality egg carton, paper plate, paper tableware, medical care products, industrial pack, inserts and tray, etc. 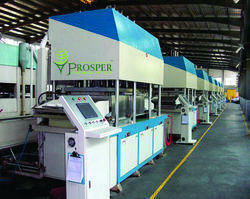 Can produce high-precision free trimming products. Can be equipped with high-efficiency heat insulation device, to achieve quick die change, high efficiency, energy saving..
1. The Capacity calculated base on 8” round dish(weight ~16g). 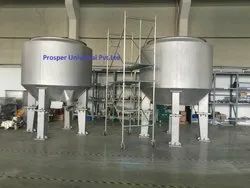 The capacity may be different for other products. When using a 100% natural fiber product like Bagasse, it will "relax" somewhat when it has hot liquids in it and stiffen back up as it cools. Though this can make the sides seem soft to the touch, they will not tear or break. 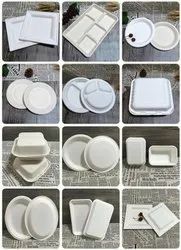 Looking for Semi-Auto Sugarcane Bagasse Plates Making Machine ?